Who Has the Right to Return? 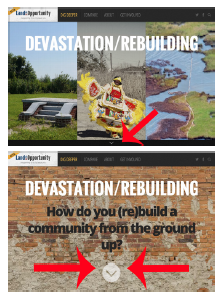 This site allows you to browse, choose and explore rich layered multimedia stories about post-crisis urban equity and redevelopment. When communities are redeveloped who stays and who goes? How do you (re)build a community from the ground up? Who is invested in your community? Who holds the power in your community? How can the next one be different? Share your vision for the future. In the years after Katrina, planners, experts and advocates clashed over the right to return to devastated neighborhoods. Two renters left without heat or electricity battle cold weather and mold for months in Coney Island. A portrait of Jimmy, a life-long New Orleanian who refused to leave his beloved home and pets during and after Katrina. Voices emerge from the aftermath of Sandy. New Orleans filmmaker William Sabourin turned his camera on the chaos and community that he witnessed during Katrina and its aftermath. 12-year old Tr'Vel Lyons recounts how he and his mother survived Katrina with the help of a guardian angel. 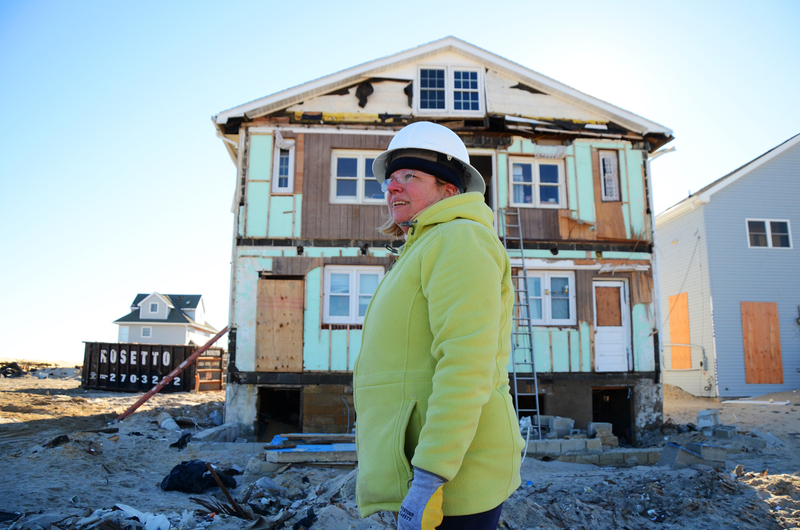 New Jersey homeowner Deborah Turner is caught in a tangle of red tape trying to rebuild after Sandy. Al Aubry and his family adapt to life in FEMA trailer while waiting to rebuild their home. Questions on how to use the platform? Check out the simulation video above. Luisa Dantas has worked on a wide array of documentary and narrative projects in the U.S. and Brazil. In addition to producing, directing and editing Land of Opportunity, Luisa also co-produced the acclaimed documentary, Wal-Mart: The High Cost of Low Price, and directed and produced the web-series Voices From the Gulf for ColorofChange. Luisa’s first fiction film, Bolo, was produced in Brazil and screened in several international festivals. She received a grant from the National Hispanic Foundation for the Arts and Disney/ABC to develop the screenplay Summertime. She has also written for the animated series Go, Diego, Go! for Nickelodeon Television. Luisa teaches screenwriting and documentary filmmaking at Tulane University. 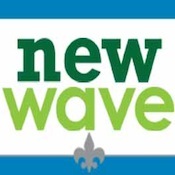 Laine Kaplan-Levenson is a multi-media producer living in New Orleans. After graduating from Brandeis University with a degree in Film and American Studies, Laine worked as a Design Producer for the production company Rehage Entertainment. She went on to serve as the Assistant Publisher of the NOLADefender, a local online news and culture publication. Laine works as a radio producer and works for the local NPR member station WWNO, and runs a live storytelling event called Bring Your Own. Micheal Boedigheimer is a director and cinematographer. 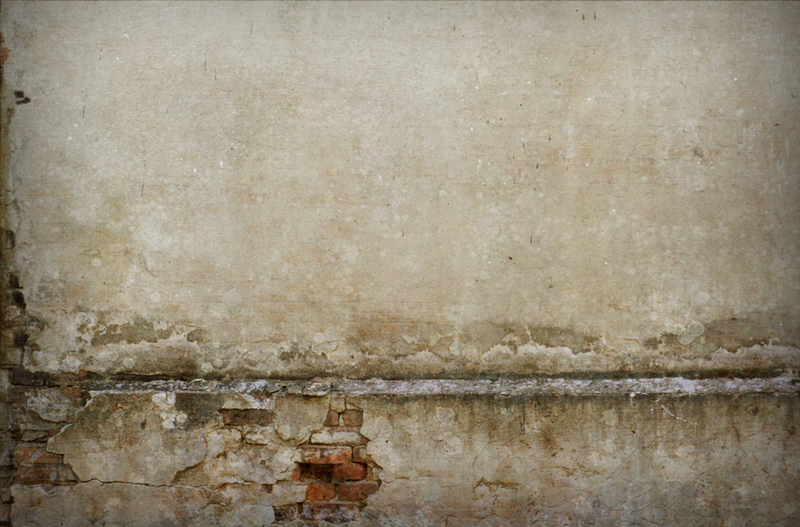 His award-winning short film Impasse has screened at festivals around the world. St. Joe, an experimental short film he worked on with Luisa Dantas, recently won Best Short at the New Orleans International Human Rights Film Festival. He has worked as a camera operator on various reality shows for A&E, Bravo, tru TV and the web-series Voices From the Gulf for Color of Change. He graduated from the Art Institute of California, Santa Monica in 2006 with a B.A. in video production. Amelia Senter is a writer and communications consultant in New Orleans. She manages communications, press, and promotional materials for LandofOpportunity Interactive. Amelia has worked for marketing, communications, and creative branding firms in New York, New Orleans, and Washington D.C. She is a graduate of Tulane University. Cody is a 4th year student at Tulane University, aiming to graduate with a B.S. in Economics and a secondary focus in Arabic and Middle Eastern Studies in the spring of 2014. When not sketching Supply and Demand curves or mumbling to herself in foreign languages, Cody has worked as a student reporter for Tulane’s institutional newsletter New Wave, and, in her current manifestation, as a Collat Media Intern for site development and curation on two community digital humanities projects, of which Land of Opportunity is one. Lindsey Phillips is a freelance videographer and editor living in New Orleans, LA, pursuing her goals of producing creative video and documentary work. She has worked with several local filmmakers on a variety of projects including feature length films, short films and promotional videos. She is also involved in the local arts community and is currently directing an experimental film initiative, Cinema Reset, in partnership with the New Orleans Film Festival.She is an assistant editor for Land of Opportunity, working with filmmakers across the country and creating promotional materials. Emily Nichols graduated from the University of Iowa with a Bachelors in History. She is currently an Urban Studies graduate student at the University of New Orleans. Jon is the founder and digital strategist behind all of the projects that come out of Uncharted Digital. Jon has extensive background in the nonprofit sector. As the Cofounder of The Tiziano Project, he is intricately familiar with storytelling, community engagement and the needs of nonprofit organizations. His projects have received top recognitions from SXSW Interactive, the Webby Awards, the Gracies, Adobe and the Knight Foundation among many others. For five years, Jon also served as the Emerging Technology Specialist for the University of Southern California Libraries, where he received a M.A. in Communication Management and is currently an Adjunct Professor teaching graduate level courses on New Media Journalism. Alexey is a Senior Developer and Project Manager for Uncharted Digital. With more than five years experience working in IT he skilfully handles laborious and complex project management and development processes at the highest level. Alexey pays specific attention to detail which helps him in building well conceived and user-friendly interfaces for both websites' frontend and backend. His thoughtful approach to web development is invaluable. Grant is an Interactive Designer and Art Director for Uncharted Digital. He specializes in user interface design for high-traffic, content-rich websites and iOS apps that strikes a balance between beauty and usability. With more than 10 years of experience and projects ranging from Hillary Clinton’s campaign website to Channel One News interactives, his strong attention to detail is evident in his designs. He emphasizes creating clean, appealing, and functional interfaces that comply with the latest web standards. Sarah is a creative strategist with over a decade's experience developing interactive products. Her expertise lies in leveraging market trends to create compelling transmedia experiences that strengthen brand affinity and drive audience growth. As a lead producer for Disney Interactive, Sarah developed cross-platform technology with Nintendo, co-wrote television commercials for Disney Channel, and created the brand Friends for Change, The Walt Disney Company's first corporate citizenship campaign for kids and families. She is a published writer and holds a master's degree in Fiction from the University of Southern California. 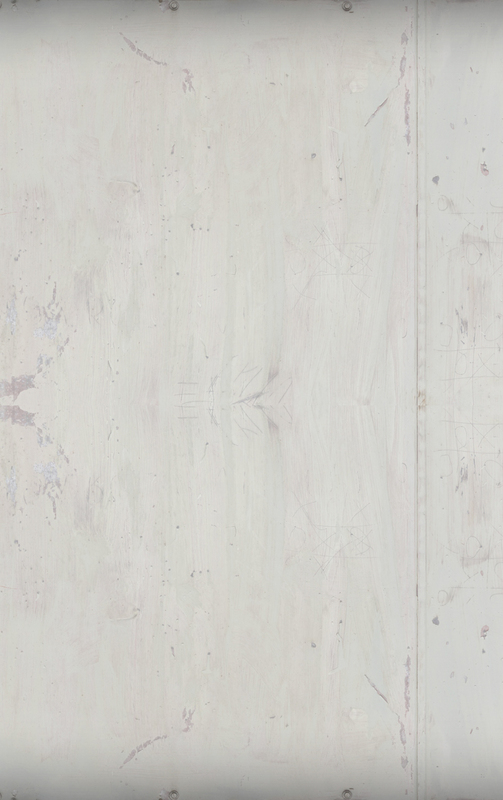 Heidi Boisvert is a new media artist, game designer, experimental filmmaker, writer and educator based in New York. She was formerly the Multi-Media Director at Breakthrough, a global human rights organization, where she designed, developed and virally propagated a wide range of new media and pop culture campaigns that helped raise awareness and instigate policy change on pressing social issues. She created the first 3D social change game, ICED I Can End Deportation, to shift the frame around unfair U.S. immigration policies. 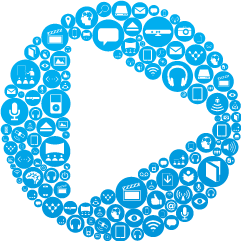 ICED was downloaded by over 250,000 players in 166 countries, and earned tremendous media attention (23 newspapers, 134 blogs, 295 radio broadcasts, 68 television broadcasts, and 76 internet news & search engines). Prior to joining Breakthrough, Heidi taught Digital Media & Media Studies at Hunter College, and launched a free digital media program for low-income youth through Time Warner & NOAA funding. Her latest initiative, America 2049, a groundbreaking alternative reality game on Facebook about pluralism, featuring Harold Perrineau (LOST), Victor Garber (ALIAS), Cherry Jones (24), Anthony Rapp (RENT) and the comedian Margaret Cho has been featured in Kotaku, TIME, Wired, Salon, Fast Company, Washington Post, and Huffington Post, to name a few, and nominated for a Games for Change Award and Katerva Award. Most recently, Heidi founded and serves as the CEO and Creative Director of the futurePerfect lab, a boutique creative agency that works with non-profits, cultural and educational institutions to develop imaginative and playful applications of integrated media and emerging technology. She is currently a PhD candidate in the Electronic Arts program at Rensselaer Polytechnic Institute. A 3D game that teaches players about current immigration laws that deny due process. Felicia Pride is a creator, educator and strategist at the intersection of storytelling, media, and technology who has spent more than ten years working in the field. She’s a media fellow at the Center for Social Media at American University, and the founder ofpride collaborative, which recently developed the multimedia educational component for the documentary Slavery by Another Name. Her latest project is StoriesLead, a learning space and training ground for innovative media. 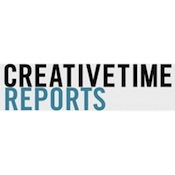 Additionally, she is the founder of the create daily, which matches talented content creators and media makers with career-advancing opportunities. Nick Ray is a digital media architect with a passion for building virtual experiences that inspire positive action. His freelance work covers the gamut of media production: Working with Spark Media of DC, he was the lead developer for the Inter-American Development Bank’s Annual Meeting mobile app. He is also the founder of Yudos, an online social game that allows players to reward their peers for acts that better the world. 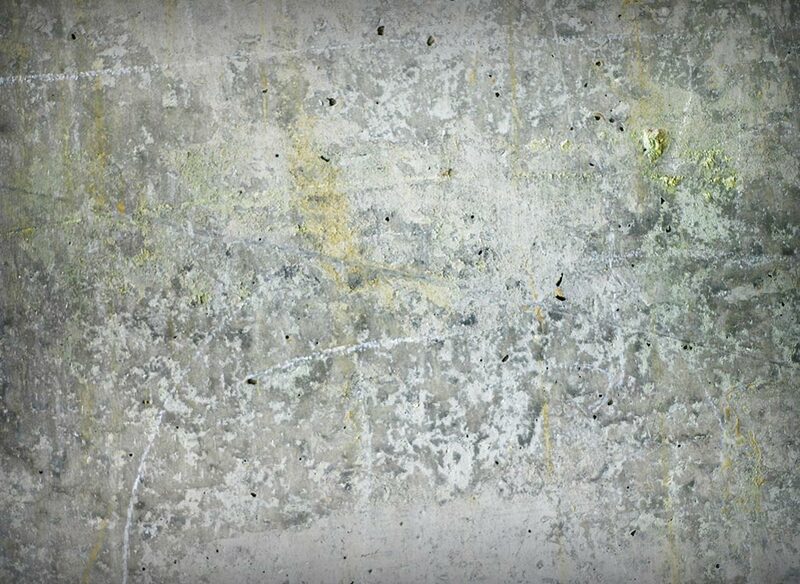 His current open-source project enables media makers to create virtual versions of physical spaces enriched by text, video and image. Nick serves as an adjunct instructor for American University’s Digital Media Skills Graduate Certificate, in addition to freelancing. Ada McMahon lives in New Orleans, Louisiana and was born and raised in Cambridge, Massachusetts. She is a Media Fellow at Bridge The Gulf, a community journalism project for Gulf Coast communities working towards justice and sustainability. Previously, she worked as a blogger and online organizer at Green For All. From front porches to the frontlines, “Land of Opportunity” captures the struggle to rebuild New Orleans, one of America’s most beloved and emblematic cities. 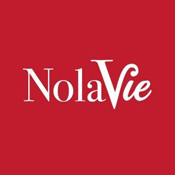 Juxtaposing the perspectives of protagonists from different walks of life, this award-winning documentary reveals how the story of post-Katrina New Orleans is also the story of urban America. 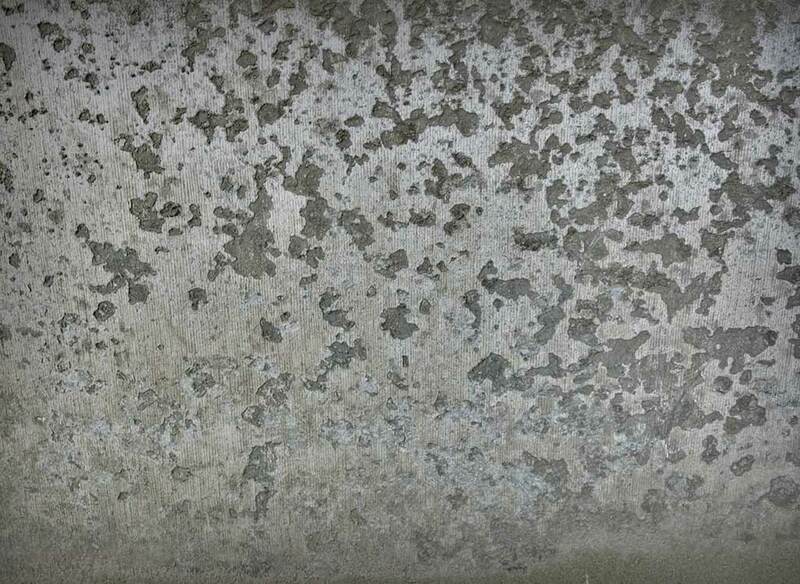 This is a ground-level view of a situation that has been widely discussed but rarely seen with such texture and complexity. NOTE: If you are an educator, click on For Educators to find out more about the educational version of the film. Al Aubry is a homeowner in the Gentilly neighborhood whose roots in New Orleans go back centuries. He is determined to view his post-catastrophe situation as an opportunity for increased self-sufficiency. With Duany’s urging, he plants a community garden in his yard and begins to feed his family from it. Living in a cramped FEMA trailer with his wife Patricia and their two children for three years, Aubry wants nothing more than to rebuild a bigger and better home in the same spot where his ravaged one once stood. 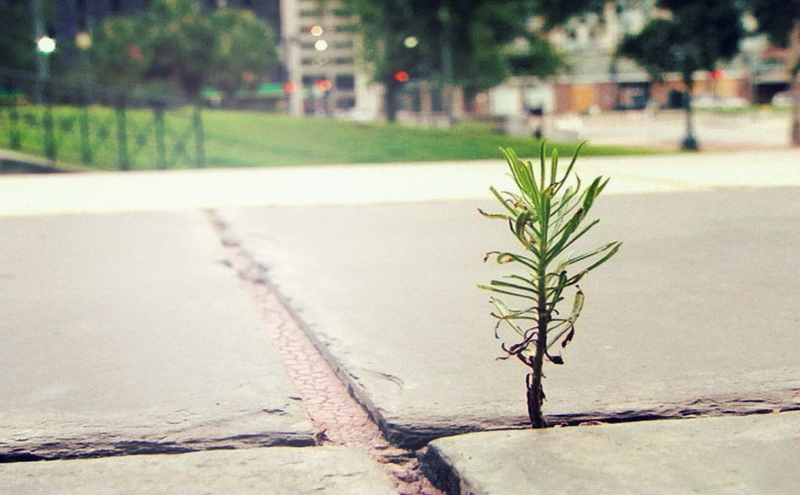 Despite having to fight crippling government bureaucracy, he never loses his sense of hope. 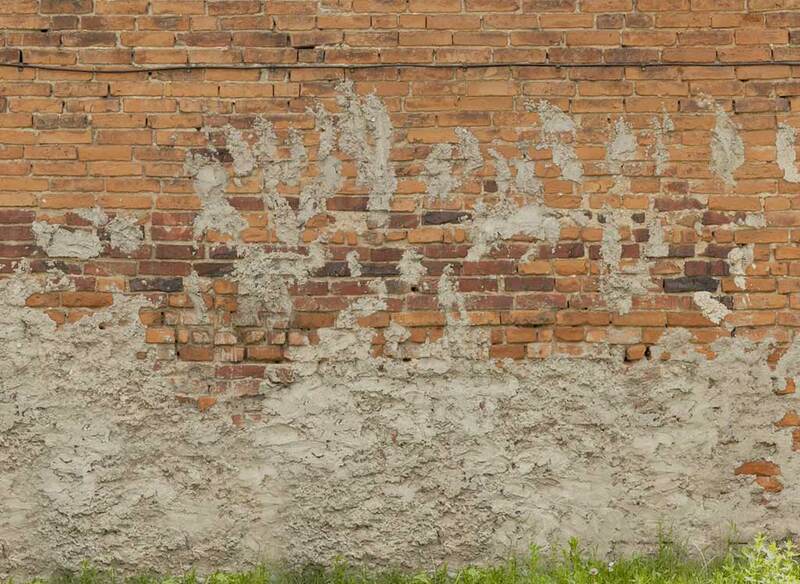 A planner comes to New Orleans to leave his mark on a truly unique city. One of the most well known architects and urban planners in the world, Andres Duany is among the dozens of renowned experts hired to help create official recovery and rebuilding plans for New Orleans. A controversial and charismatic founder of New Urbanism, he sees himself as a visionary capable of transforming this beleaguered city into a model for the 21st century. He is frustrated by internal conflicts within the planning process and political inertia, but he inadvertently transforms the life of one resident he encounters. Ultimately, he comes to understand the value and uniqueness of New Orleans as it exists in its “delightfully disorganized” state. Vanessa Gueringer, a wife and mother mainly devoted to her family before Katrina, returns home to her ravaged Lower 9th Ward neighborhood “with a fire lit” in her heart and mind. While struggling to rebuild her own home, she vows to fight for the revitalization of her decimated community. Working with ACORN, Vanessa becomes a powerful activist and a vocal thorn in the side of the local politicians who she deems apathetic or ineffective. In her quest to bring attention to her Lower 9th Ward community, Vanessa crosses paths with the likes of Brad Pitt, Bill Clinton and then presidential candidate Barack Obama. Elza F., a mother of three young daughters, risked her life to come to post-catastrophe New Orleans, in the hopes of finding well-paid rebuilding jobs that would allow her to buy a home for her family in Brazil. Instead, she faces the harsh reality that wages are lower than she was promised, the dollar is weak, and after taxes, her income doesn’t stretch that far for her family in Brazil. In 2009, with mounting frustration, she comes to believe that working in the United States is no longer worthwhile, but is reluctant to let go of her dream. While residents like Vanessa strive to reclaim their beloved communities, others, like immigrant worker Marcio P. search for greater prosperity. Hoisting heavy construction debris as he helps to renovate the Hilton Hotel, Marcio dreams of being a screenwriter in Hollywood, where he wants to settle with his wife and two sons whom he reluctantly left behind in Brazil. A former car salesman, Marcio never dreamed he’d be doing manual labor in America. Marcio also feels proud to participate in the reconstruction of New Orleans, a city he grows to love. After over two years of increasingly intermittent work, however, it becomes clear the construction boom has not truly materialized, and his wife is pressuring him to return home. Eventually Marcio acquiesces in order to save his marriage. Like Marcio and Elza, displaced New Orleanians like Tr’Vel Lyons also struggle to find community and solid footing in new and unfamiliar places. We follow Tr’Vel from his middle school graduation in 2006 in Los Angeles through his high school career. As a high school student in Los Angeles, Tr’Vel is committed to taking advantage of what he sees as greater educational and economic opportunities away from New Orleans. However when he pays a visit to his hometown for the first time since Katrina, he becomes keenly aware of the price he’s paid by being away from beloved friends and family. Sharon was always a pillar of her community. For years, she spoke out against police brutality in public housing, and advocated for better conditions for tenants. When, like thousands of others, she was evacuated and evicted from public housing, she became a visible spokesperson for former residents of public housing who wanted to to prevent the demolition of the buildings they grew up in and where they raised their children.Sharon continues to speak out against the Housing Authority and private developers who she feels are creating an unfair environment that prevents former residents of public housing from returning to the new communities that have been built. Rebecca Snedeker is an Emmy Award winning documentary filmmaker and writer whose work supports human rights, creative expression and her native city, New Orleans. She is currently collaborating with Rebecca Solnit to create Immortal City: A New Orleans Atlas (UC Press, 2013) and serving as a consulting producer on Shell Shocked, a film about youth and gun violence. Her directorial debut, By Invitation Only (2006), premiered at the Full Frame Documentary Film Festival and screened at festivals, conferences andPBS stations nationwide. More recently, Snedeker produced Land of Opportunity (ARTE France, 2010), Siskel/Jacobs Productions’ Witness: Katrina (National Geographic Channel, 2010) and Choices, featuring Terence Blanchard and Dr. Cornel West (Concord Records, 2009). As Archival Researcher and/or Associate Producer, she has contributed to numerous documentaries, including A Village Called Versailles (Independent Lens, 2010), Faubourg Treme: The Untold Story of Black New Orleans (National PBS Broadcast, 2007), and Desire: The Teenage Girls Documentary Project (Free Speech TV, 2007).Snedeker serves on the board of Video Veracity, a fiscal agent for independent media projects, and is an active member of New Day Films, the 40-year-old filmmaker-owned distribution company. Formerly, she served on the boards of the New Orleans Film Society and Patois: the New Orleans International Human Rights Film Festival. Snedeker received her B.A. in Fine Arts from Wesleyan University. Evan Casper-Futterman is a Doctoral Student in Planning and Public Policy at Rutgers University. He joined the Land of Opportunity team in January 2008 after volunteering and providing logistical support for a series of grassroots campaigns around public housing and homelessness in New Orleans in 2007. He helped edit and produce "The Heart Rots First," a visual art installation at Studio527 for ProspectOne from November 2008 to January 2009. He graduated in 2011 with a Masters in Urban and Regional Planning from the University of New Orleans and in 2007 from Vassar College with a BA in Geography. Karen Sztajnberg is an editor, writer and director working in both the U.S. and Brazil. Laura, the feature documentary she is wrapping up about a woman surviving her broken dreams of immigration while casting the illusion of success at home, has just won the DOC-TV Latin America Award. Happiness Inc, co-directed with Camilla Montecupo, and commissioned by RAI Italian Television, explored the murky terrain of the new self-improvement cults gaining a foothold in corporate America. En Route to Baghdad, edited and written by Karen, depicted the fiasco of the UN mission in Iraq resulting in the tragic death of Sergio Vieira de Mello, the envoy in charge. 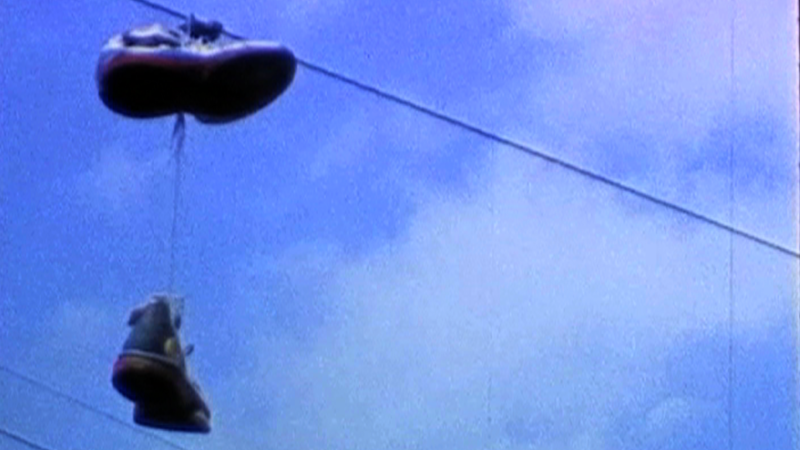 This film was broadcast in nine countries, and was part of the PBS Independent Lens series. Karen came to the US in 1994 with a Fullbright Scholarship, then was the recipient of the National Film Board of Canada’s Incentive to Young Filmmakers Grant in 1996. She received her MFA in film from Columbia University. An award-winning activist and educator, Judith Helfand is known for her ability to take heedless corporate behavior and chemical exposure and make it personal, highly charged and very entertaining. The Uprising of 34 (co-directed with George Stoney), Blue Vinyl (for which she and co-Director Daniel Gold were nominated for two Emmys) and its Peabody Award-winning prequel A Healthy Baby Girl all explore home, class, corporate accountability, intergenerational relationships and what is a part of the public record. Judith just completed co-Directing and co-Producing Everything’s Cool, a feature documentary about global warming which was released in November, 2007. She is in development on a feature documentary about “unnatural disasters ” and the politics of “crisis ” through the 1995 Chicago Heat Wave. She is a co-founder of Working Films and Chicken and Egg Pictures. She is currently teaching “environmental documentary making ” as an Artist-in-Residence at the University of Wisconsin, Madison. Wendy Ettinger is an award-winning producer, director and casting director. Her first documentary, The War Room, directed by Chris Hegedus and D.A. Pennebaker was nominated for an Academy Award, and their second collaboration, Moon Over Broadway, was cited as Best Documentary of 1998. Her first feature film, Eye of God, directed by Tim Blake Nelson, premiered at Sundance. Baby I’m Yours, her directorial debut which follows the lives of three first time mothers, led to an appearance on the Oprah Winfrey Show. Ms. Ettinger served as Consulting Producer on Al Franken: God Spoke, directed by Chris Hegedus and Nick Doob, (EP) D.A. Pennebaker, which debuted theatrically in 2006. Ms. Ettinger is currently collaborating with director Douglas Keeve (Unzipped) on the feature length documentary The Gramercy Park Hotel. She and her husband Derek Mclane were the recipients of the 2006 Michael Mendelson Award. She is on the board of Working Films and serves on the Board of the 52nd Street Project, a non-profit organization that brings theater professionals together with inner city children. Ms. Ettinger also serves on the board of the Educational Foundation of America. She lives in New York City with her husband Derek Mclane and their three children. For the past ten years, Julie Parker Benello has produced documentaries on health and environmental issues for television. In 2002, Julie co-produced the Sundance award winning HBO documentary Blue Vinyl, a film in search of the truth about vinyl (PVC), America’s most popular plastic. Julie’s commitment to linking filmmaking to environmental health started with her producing one-hour documentary Prostate Cancer: A Journey of Hope which aired nationally on PBS in June 1999, attracting over 3.5 million viewers and was chosen as one of their ten outreach projects for that year. In 2005, Julie founded Chicken and Egg Pictures, an innovative film company which provides grants and executive produces select film projects by women filmmakers. Julie currently serves on the board of The Center for Environmental Health and Working Films. She lives in San Francisco and is the mother of two young daughters. Derrick Hodge is a bassist, composer, and music producer. After several years as the bass player with Grammy Award-winning Terrence Blanchard’s jazz band, he recently became Music Director for Maxwell’s Tour 09-10. Derrick composed the score for the documentaries Who the F@#k is Jackson Pollack, Faubourg Treme: The Untold Story of Black New Orleans, Army Recruiter, and tracks for Spike Lee’s Inside Man. He attended Berklee College of Music and received a bachelor’s degree in Music (emphasis on jazz and composition) from Temple University. Hodge has performed and/or recorded with Donald Byrd, Kanye West, Will Smith, Jill Scott, Bootsy Barnes, Q-Tip, Terell Stafford, Mos Def and many others. Land of Opportunity is filled with teachable moments about the meaning of displacement, home and community, the power dynamics of race and gender, and ultimately, about the struggles for justice, equity, and fairness in a multiracial society. If you are an educator or a community group, we want to work with you! The mulit-layered, interactive nature of the platform is designed to engage students and community members with deep learning and real and relevant action. It is our hope that educators - as well as the larger community - will use this platform as a tool for not only researching these pivotal social issues, but also connecting with ways to take action. As such, we've developed the Land of Opportunity Curriculum guide, designed to gie educators a comprehensive grasp of the platform and its content as teaching tools. It includes discussion questions, a glossary of terms, and sample assignments. View and download the Curriculum Guide. Getting the film into the hands of educators, students and community groups is an important part of our mission to share the lessons learned in New Orleans with the rest of the world. In 2010 we proudly joined New Day Films, the innovative filmmaker-run distribution company, to distribute the film to community groups, universities, colleges, schools, public libraries and government agencies. The Land of Opportunity film is available for screening at academic, professional, religious, and social justice conferences. If you want to hold a screening for more than 150 people, or an event of any size with paid admission, please contact us. The filmmakers are also available to attend conferences, screening events and classes where the film is shown. Please contact us for more information. Land of Opportunity may well be the best film on post-Katrina New Orleans. A vital tool for activists, educators and all citizens who desire more just, sustainable cities. Land of Opportunity makes an important contribution to the historical archive on Hurricane Katrina. By highlighting a wide range of voices, the film shows how everyday struggles in post-Katrina New Orleans and the diaspora are shaped by the intersections of race, class, gender, age, and citizenship. A gripping film that is highly recommended for interdisciplinary classes. The strength of the film lies not just in its use of multiple stories but in the depth and uniqueness of each of those stories. Some of the stories are about rebuilding something lost, but some are about doing something new, and the challenges people face doing both. Follow news, press, and upcoming events for LandofOpportunity here. View the Land of Opportunity media kit and download images here. 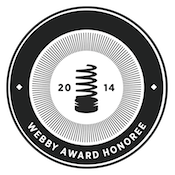 The LandofOpportunity interactive platform was selected as a 2014 Webby Award Honoree for Best Community Website. Honorees are selected for recognition based on excellence in content, structure and navigation, visual design, functionality, interactivity and overall experience. Luisa Dantas profiled as part of NolaVie's "Artists In Their Own Words" series. View Luisa Dantas' July 2015 appearance on talkshow "BK Live" in Brooklyn, hosted by Brooklyn Independent Media. A great write-up of Katrina/Sandy via Black Press USA. Luisa Dantas' op-ed for Next City, marking the 9th anniversary of Katrina. "Katrina and Sandy cost over 2,000 lives. Will we do better next time?" A soundbite of Luisa Dantas' interview with Eve Troeh of WWNO, which was rebroadcast on NPR's All Things Considered. 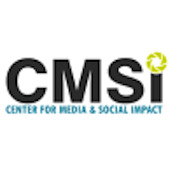 American University's Center for Media & Social Impact's coverage of Katrina/Sandy. New Orleans' the Times Picayune covers the launch of the Katrina/Sandy timeline in August 2014. Tulane University's coverage of the Katrina/Sandy timeline. "Upworthy features "How Does One Begin?" a LandofOpportunity interactive short. "More than just a video distribution platform, Land of Opportunity aims to cultivate a fertile space where stories inspire tangible change. The combination of creative filmmaking and community discourse presents an innovative solution for how social awareness can influence policy, bringing attentive eyes to the problems that are starving for attention." Luisa Dantas authored a piece for GOOD, in which she discusses the making of and vision behind the Land of Opportunity project. Great profile of Luisa Dantas/LandofOpportunity in New Orleans' life and culture magazine. 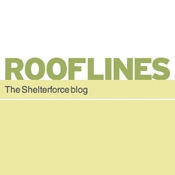 LandofOpp director/producer Luisa Dantas authored a piece for the Shelterforce blog, titled "Explore Post-Crisis Redevelopment Beyond the Linear Narrative." 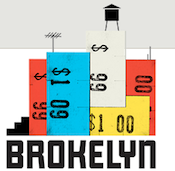 Brokelyn, a lifestyle magazine based in Brooklyn, spotlighted our interactive video "Out With the Old, In With the New," a layered look at the gentrification of Brooklyn's Fulton Mall. 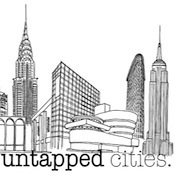 Untapped Cities featured an op-ed by Luisa Dantas on the project and "narratives of recovery." Tulane University did a write-up of the feature film, the soon-to-be-released interactive site, and Luisa Dantas' approach to teaching. In commemoration of the 8th anniversary of Katrina, we teamed up with Sandy Storyline to co-author a piece for Creative Time Reports. The article highlights stories of residents struggling to rebuild their homes after Katrina and Sandy. 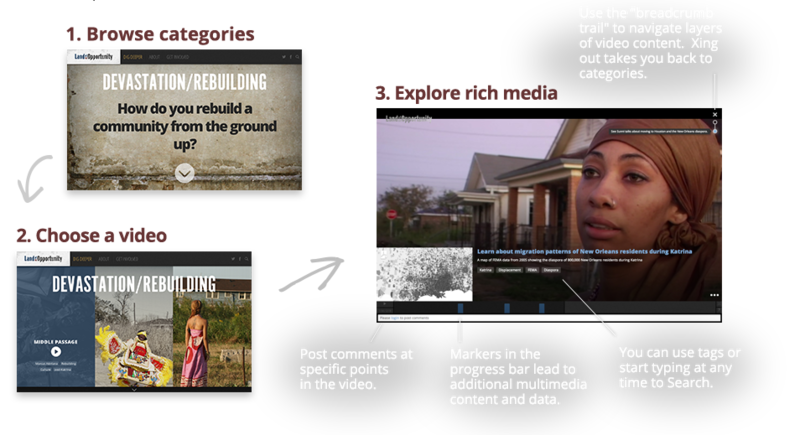 What does the “user experience” look like for an interactive documentary? A case study on LandofOpportunity. 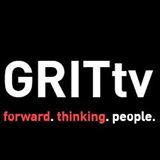 Watch this episode of GRITtv where guest host Ed Ott sits down with Luisa Dantas. The two discuss what Luisa learned while making Land of Opportunity. Laura Flanders hosts GRITtv and talks to creative thinkers and change-makers from the world of politics, arts and the new economy. 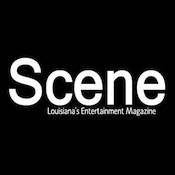 Louisiana’s entertainment magazine featured Luisa Dantas in the 2010 Sept/Oct issue. Check out Danielle Nelson’s interview (go to page 26). Gary Michael Smith wrote up Land of Opportunity’s first ever screening in New Orleans with a great article. 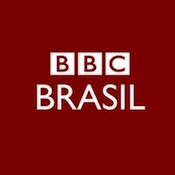 Alessandra Corrêa wrote a great piece on Land of Opportunity for BBC Brasil. Read Sérgio Martins’ article about how New Orleans’ music and cinema are fundamental to the city’s post-Katrina redevelopment. Land of Opportunity and Luisa Dantas are highlighted. We are looking to foster creative and strategic partnerships with organizations and individuals– educators, mediamakers, advocates, and others– working towards just and equitable community (re)building. Using this platform, partners can create and curate their own multi-layer stories and strategically deploy them to increase engagement and effect change locally and nationally. To find out more about becoming a partner, contact us. NOTE: If you are an educator, please see the For Educators section under About to purchase an educational DVD. To comply with the requirements of the Children’s Online Privacy Protection Act of 1998, if you are under 13 years old, you may not use this website. By using this website, you promise that you are 13 years of age or older. If you are under the age of 18, you promise that you are either an emancipated minor, or have obtained your parent’s or legal guardian’s consent to use this website. Not post any unauthorized advertising, promotional materials, “junk mail,” “spam,” or any other form of solicitation. We may remove any comments or content that we believe violates these guidelines at our sole discretion. By posting your Content on LandofOpportunity, you grant to JoLu Productions Inc. and its affiliates a worldwide, perpetual, non-exclusive, royalty-free, and sublicensable license to use, copy, edit, display, publish, perform, distribute, adapt, modify, and promote your Content. After posting your Content, you will continue to own your Content, and you may use your Content in any way you choose. You promise that you own your Content, and/or that you own the intellectual property rights to your Content, and that neither the Content nor the exercise of the rights granted by your license infringe upon or violate the rights of others, including their rights in intellectual property, privacy, and publicity, and that the Content does not defame others or constitute libel or slander. You promise that you will not post on this website any material protected by copyright, trademark, or other proprietary rights of others and that the burden of determining that any material is not protected by copyright or other proprietary rights rests with you. You are solely liable for anything contained in your Content, and any damage resulting from any infringement of copyrights, proprietary rights, or any other harm resulting from posting your Content. Bridge the Gulf does not verify, endorse, or otherwise vouch for the contents of any posting. You will indemnify, defend, and hold harmless JoLu Productions Inc and its affiliates, directors, officers, employees, funders, contractors, sublicensees, and agents, for all damages, losses, and costs (including, but not limited to, reasonable attorneys’ fees and costs) related to all third-party claims, charges, and investigations that: (i) arise from your activities on this website; (ii) assert a violation by you of any term of this Agreement, including any representations and warranties; (iii) arise from your failure to comply with this Agreement or any representations or warranties herein; or (iv) assert that any Content you posted violates any law or infringes any third-party right, including any intellectual property or privacy right. This defense and indemnification obligation will survive the termination of this Agreement, regardless of when you cease using this website or remove Content from this website. Except as otherwise expressly permitted by JoLu Productions Inc., you promise that you will not reproduce, publish, broadcast, sell, commercially exploit, create derivate works from, decompile, reverse engineer, or disassemble this website or any content posted to it, other than your own Content, nor use any content posted on this website for any unlawful purpose. Nor will you take any measures to interfere with or damage this website. JoLu Productions Inc. reserves all rights not expressly granted to you in this Agreement. LandofOpportunity is committed to full compliance with U.S. copyright law, and expects its users to do the same. In addition to the obligations set forth above in this Agreement, each user is responsible for ensuring the materials they post to the website do not infringe any third-party rights. The Digital Millennium Copyright Act of 1998 (“DMCA”) provides recourse for owners of copyrighted material who believe that their rights under U.S. copyright laws have been infringed online. A copy of DMCA is located at http://www.loc.gov/copyright/legislation/dmca.pdf. You should be aware that U.S. copyright law provides substantial penalties for false claims of copyright infringement. If you believe that your work has been copied in a way that constitutes copyright infringement, provide JoLu Productions Inc. with a written notice containing the following: i) the electronic or physical signature of the owner of the copyright or the person authorized to act on the owner's behalf; ii) identification of the copyrighted work that you claim has been infringed; iii) identification of the material that is claimed to be infringing and information reasonably sufficient to permit JoLu Productions Inc. to locate the material (e.g., by providing a URL to the material); iv) the person’s name, address, telephone number, and email address; v) a statement by you that you have a good faith belief that the disputed use is not authorized by the copyright owner, its agent, or the law; and vi) a statement that the information in your notification is accurate and a statement, made under penalty of perjury, that you are the copyright owner or are authorized to act on the copyright owner's behalf. If you believe that your material has been removed by mistake or misidentification, please provide JoLu Productions Inc with a written notice containing the following: i) the electronic or physical signature of the person submitting the notice; ii) a description of the material that was removed and the location on the website (e.g., the URL) where it previously appeared; iii) the person’s name, address, telephone number, and email address; iv) a signed statement by the person under penalty of perjury that the person has a good faith belief that the material was removed or disabled as a result of mistake or misidentification; and v) a statement that the person consents to the jurisdiction of the Federal District Court for the judicial district in which the person’s address is located, and that the person will accept service of process from the person or its lawful agent who filed the original DMCA notice. If you have questions about the DMCA notice and/or notice of mistake/misidentification, please contact an attorney or see Section 512 of the U.S. Copyright Act, 17 U.S.C. § 512. You agree that we may collect and store information about you when you post Content, participate on the website, or communicate with JoLu Productions Inc. Such information may include your name, address, phone number, and email address. Our server logs automatically collect certain technical information (e.g., IP address, email address, browser type, and the date and time of your visit), which helps LandofOpportunity differentiate between users and spam. We do not knowingly collect personal information from children under the age of 13. Like most websites, LandofOpportunity may assign your computer one or more cookies which may collect information to facilitate access to our website and to personalize your online experience. 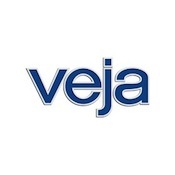 If you choose to use the site without blocking or disabling cookies or opting out of other technologies, you will indicate your consent to our use of these cookies and other technologies and to our use (in accordance with this policy) of any personal information that we collect using these technologies. If you do not consent to the use of these technologies, please be sure to block or disable them using your browser settings. You agree that we may use information to: customize content on this website; facilitate use of this website; analyze use of and improve this website; identify and protect against misuses; enforce LandofOpportunity’s Policies; protect the rights of JoLu Productions Inc, LandofOpportunity and its affiliates, directors, officers, employees, funders, contractors, sublicensees, and agents; and as otherwise required by law. You agree that we may share your information with third parties only as reasonably required for the above purposes. Your email address will also be used for (if you have elected to receive them) newsletters, updates and certain email notifications. We may transfer your information if this website migrates to another website under JoLu Productions Inc.’s ownership, or under the ownership of another non-profit entity that takes over the LandofOpportunity website. We will not share your information for any commercial purposes. You expressly agree that use of LandofOpportunity is at your sole risk. LANDOFOPPORTUNITY IS PROVIDED ON AN “AS IS” AND “AS AVAILABLE” BASIS WITHOUT WARRANTIES OF ANY KIND, EITHER EXPRESS OR IMPLIED, including, but not limited to, warranties of title or implied warranties of merchantability, fitness for a particular purpose, non-infringement, and any other warranty that might arise under any law. 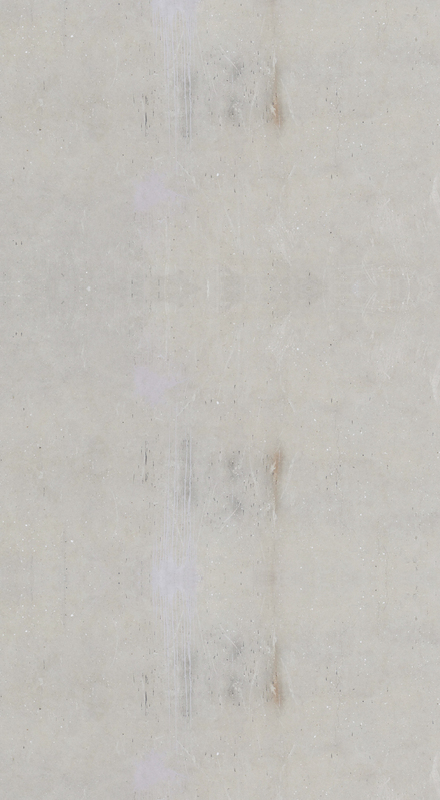 This disclaimer applies to any damages or injury caused by any failure of performance, error, omission, interruption, deletion, defect, delay in operation or transmission, computer virus, communication line failure, theft or destruction or unauthorized access to, alteration of, or use of record, whether for breach of contract, tortious behavior, negligence, or under any other cause of action. TO THE MAXIMUM EXTENT PERMITTED BY APPLICABLE LAW, JOLU PRODUCTIONS INC. AND ITS AFFILIATES, DIRECTORS, OFFICERS, EMPLOYEES, FUNDERS, CONTRACTORS, SUBLICENSEES, AND AGENTS SHALL NOT BE LIABLE FOR: any defamatory, offensive, or illegal conduct of users or visitors of this website or any other third party; damages relating to your access to, use of, or inability to access or use this website; damages relating to inaccuracies, omissions, or other defects in, or untimeliness or inauthenticity of any Content; any indirect, incidental, punitive, or consequential damages of any kind whatsoever; and damages in any manner relating to any Content. This limitation applies to all claims, whether based on warranty, contract, tort, or any other legal theory. The risk of injury from the foregoing rests entirely with you, and you assume all risk for any damages, claims, or injuries. This Agreement shall be government by the laws of the State of Louisiana, United States of America, without regard to principles of conflict of law. Any action arising out of or relating to this Agreement or your use of this website must be court proceedings located in Louisiana, United States of America. No failure or delays byJoLu Productions Inc. in exercising any right hereunder will waive any further exercise of that right. We reserve the right to modify, supplement, or replace the terms of the Agreement, effective upon posting at the website or notifying you otherwise.